Lightweight, easy to pack and extremely comfortable, it includes an integrated weight system and other original features, as well as Scubapro quality, style and spirit of adventure. The large size weighs less than 2,7 kg / 6 lbs. 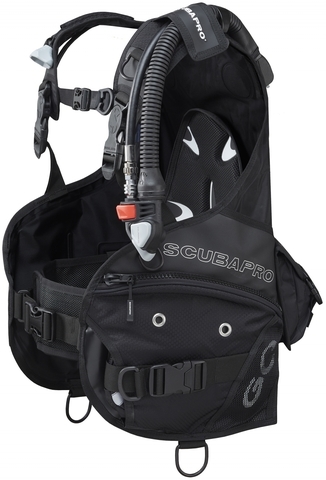 -Constructed of 210 denier nylon covered with polyurethane for lightweight durability. 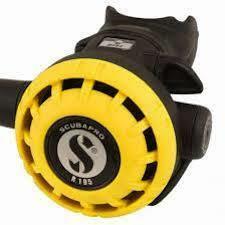 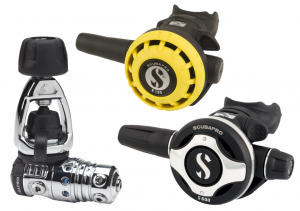 -Wraparound air bladder provides a secure, comfortable ride at depth and on the surface. 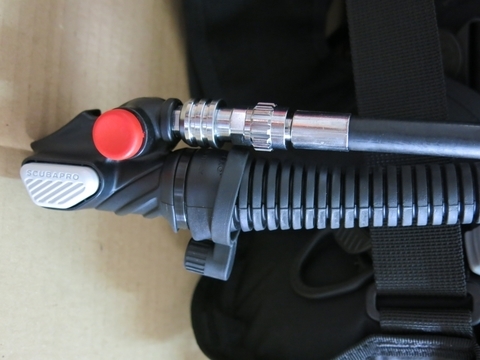 -Double-band system locks the tank in rock-solid for maximum stability at depth. 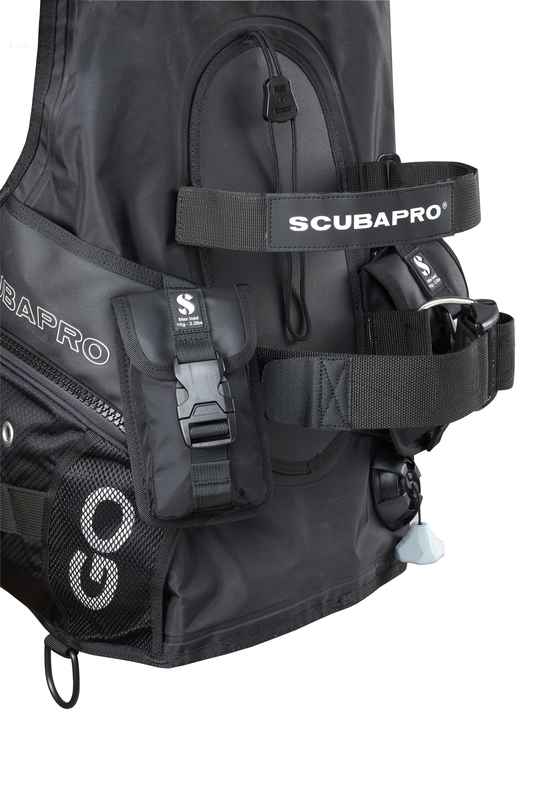 -Rotating quick-release shoulder buckles allow you to optimize the routing of your shoulder straps to maximize fit. 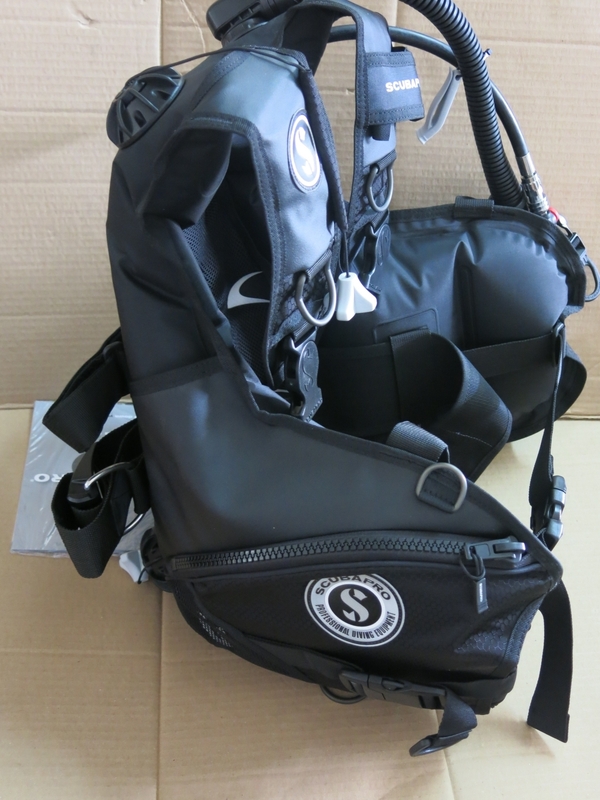 -Airnet padded backpack is water-draining, easy to fold, and enhances comfort during long dives. -Quick-release integrated weight pouches ditch easily and secure with low-profile squeeze buckles. 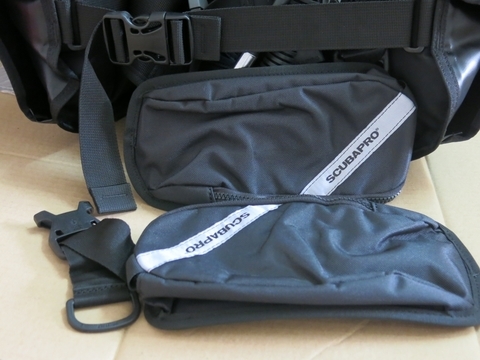 -Two large zippered pockets fitted with knife attachment grommets provide lots of cargo-carrying capability. 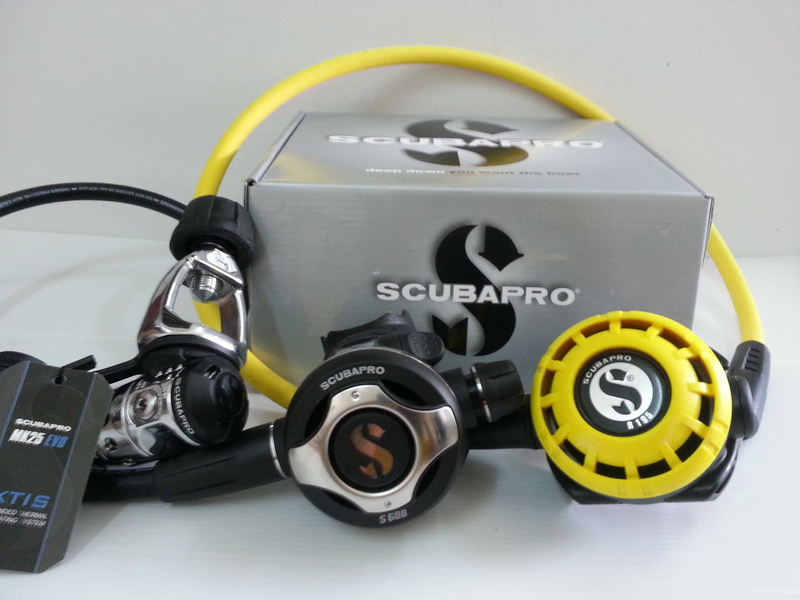 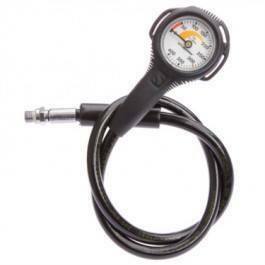 -Six aluminum D-rings, two large and pre-bent, provide convenient clip-on points for additional gear. 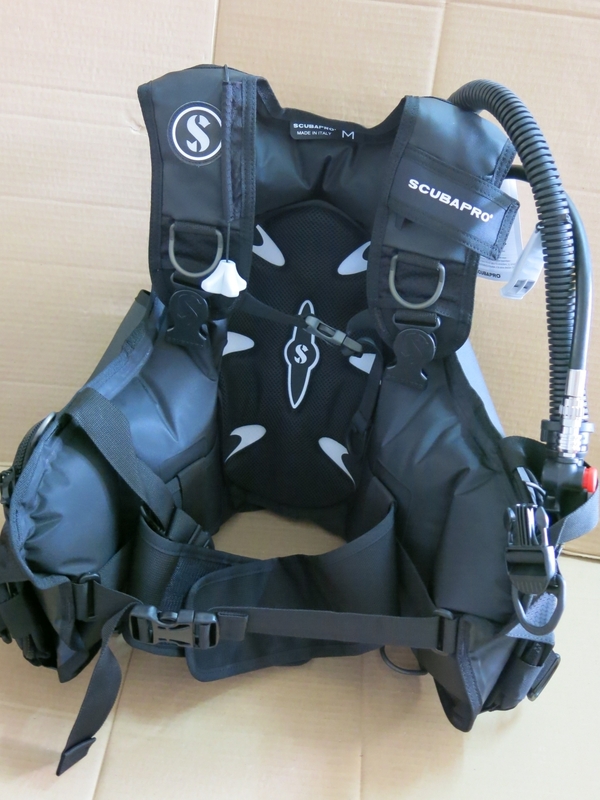 -Available in five sizes with 22 to 42 pounds of lift capacity, depending on size. 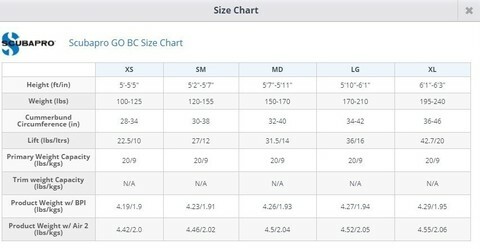 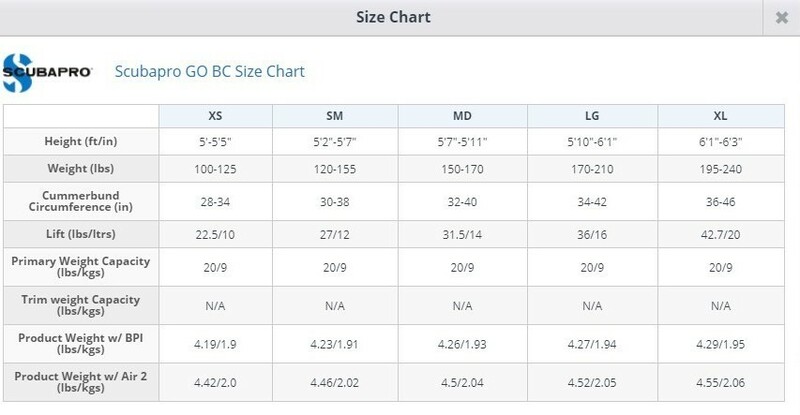 See BC sizing chart for details.